Arsenal attacking midfielder Alex Iwobi has shared a photo of himself on the training ground looking more than a little chilly as the cold weather starts to really set in. However, the Nigerian insists in his Instagram post that he’s not actually cold, he’s just planning his next attack. The 22-year-old is proving pretty effective at those this season, showing real improvement for Arsenal under their new manager Unai Emery. 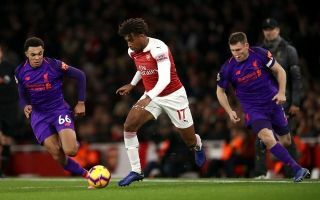 Iwobi could do with more end product to his game, but he’s chipped in with one goal and four assists so far, and is generally influencing games more than he did previously. Who knows what his next attack will result in?